the falling exchange rate – AUS$ lost 40% in value against US$ between 2011 – 2015 – made other elastic exports more competitive and this was particularly apparent in the tourism, education and construction sectors. Tourism – spending by tourists increased by 43% from 2012 and amounted to AUS$21bn in the year ending March 2018. Education – overseas student numbers increased from 300,000 in 2013 to 540,000 in 2018. Each year they contribute AUS$40bn. Construction – firms have completed projects worth AUS$29bn in the 4th quarter of 2017 which compares with AUS$20bn in the 1st quarter of 2012. The Foreign Investment Board approved AUS$72bn worth of residential-property purchases in 2016, up from AUS$20bn in 2011. So despite the end of the resources boom the Australian economy’s GDP per annum hasn’t fallen below 2.4% – see GDP graph. Furthermore, Australia ranks as the 14th largest economy on the globe but ranks 7th regarding the volume of foreign investment and this ranking has risen despite the end of the resources boom. Prudent fiscal measures and a sound monetary policy have also played their part in a resilient Aussie economy. This entry was posted in Exchange Rates, Growth and tagged Australia, Resource Curse on January 10, 2019 by Mark. Below is a link to an excellent podcast from the BBC World Service. I have blogged on the resource curse before and the falls in commodity prices – oil and mining – over the last year have affected the sub-Saharan African countries that are dependent on their primary industries. There is also mention of GDP being a stupid model. Worth a listen – click on link below. For most economies that have natural endowments like oil (Nigeria) or minerals, there is the risk of the economy experiencing the ‘resource curse’. This is when a natural resource begins to run out, or if there is a downturn in price, manufacturing industries that used to be competitive find it extremely difficult to return to an environment of profitability. According to Paul Collier, Nigeria has a resource curse of its own, the civil war trap in which 73% of the low income population have been affected by it, as well as a natural resource trap- where the so-called advantages of a commodity in monetary value did not eventuate – on average affecting only 30% of the low income population. It seems that in Nigeria there is a strong relationship between resource wealth and poor economic performance, poor governance and the prospect of civil conflicts. The comparative advantage of oil wealth in fact turns out to be a curse. governments and insurgent groups that determines the risk of conflict, not the ethnic or religious diversity. Others see oil as a “resource curse” due to the fact that it reduces the desire for democracy. This entry was posted in Growth, Trade and tagged Resource Curse on July 1, 2017 by Mark. A very good clip from CNBC – Venezuela’s economy has been in free fall since the 2014 collapse of oil prices, which left the socialist country unable to maintain its subsidies and price controls. Oil revenue accounts for 95% of its total exports but with a 50% drop in the price of oil there was limited money in the economy to buy those necessary imports. However as pointed out in the video the problems started in 2003 when there was an oil workers strike which meant that the country stopped producing oil. Furthermore with a collapsing oil price and exchange rate against the US dollar the then president Hugo Chavez decided to fix the exchange rate at 1 Venezuelan bolívar = US$1.60. Another example of the resource course. This entry was posted in Inflation and tagged Resource Curse, Venezuela on March 21, 2017 by Mark. I have mentioned the resource curse in previous posts especially those countries with natural resources. Below is an extract from a previous post. Africa may have enormous natural reserves of oil, but so far most Africans haven’t felt the benefit. In Nigeria, for instance, what’s seen as a failure to spread the country’s oil wealth to the country’s poorest people has led to violent unrest. However, this economic paradox known as the resource curse has been paramount in Africa’s inability to benefit from oil. This refers to the fact that once countries start to export oil their exchange rate – sometimes know as a petrocurrency – appreciates making other exports uncompetitive and imports cheaper. At the same time there is a gravitation towards the petroleum industry which drains other sectors of the economy, including agriculture and traditional industries, as well as increasing its reliance on imports. For New Zealand it seems to be working in reverse. 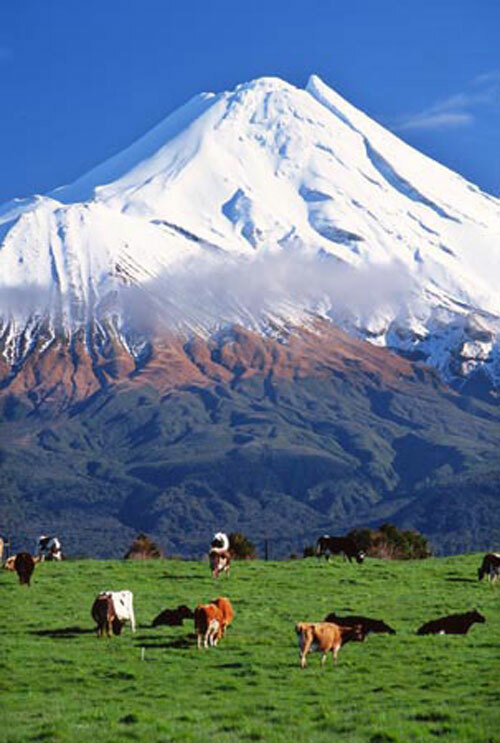 New Zealand’s biggest export earner is dairy and with prices dropping by 23% since last year and the outlook of continued monetary easing from the RBNZ the dollar has dropped from US$0.77 on 27th April to US$0.67 today – a level not seen since 2010. However, going against what the resource curse suggests, the weaker exchange rate will provide extra revenue for exports like the tourism industry which has been enjoying high numbers especially from Asia. Furthermore, there have been suggestions that it could surpass the dairy industry as the biggest earner of export receipts. There are further benefits for domestic companies competing against imports as the weaker dollar makes competing overseas goods more expensive relative to those produced in New Zealand. This entry was posted in Exchange Rates, Growth and tagged Dairy, New Zealand, Primary Sector, RBNZ, Resource Curse on July 7, 2015 by Mark. New Zealand: Reliance on a single product and a single market? I’ve written a lot on this blog about the resource curse and how it is an economic paradox. It refers to the fact that once countries start to export a natural resource like oil their exchange rate appreciates making other exports uncompetitive and imports cheaper. At the same time there is a gravitation towards the natural resource industry which drains other sectors of the economy, including agriculture and traditional industries, as well as increasing its reliance on imports. For New Zealand there is a similar scenario with a reliance on the dairy industry and the Chinese market for trade. The BNZ Economy Watch reported that dairy contributed the most (63 percent) to the total exports to China, valued at $774 million, in November 2013. This is the highest value of dairy exports to China for any month. Total dairy exports were valued at $1.7 billion – also the highest for any month. China is now our top export destination on an annual basis, just under two years after it became our top annual imports partner in December 2011, industry and labour statistics manager Louise Holmes-Oliver said. In November 2013, goods exports were valued at $4.5 billion, up $647 million (17 percent) from November 2012. Exports to China hit record levels in October 2013 and November 2013. Exports to China were valued at $1.2 billion. In 2013 China accounted for 22% of NZ’s goods exports, 17% of NZ’s goods imports and 20% of total two-way goods trade. The last thing New Zealand wants to become is nothing more than a milk powder exporter to China. Economic diversification is as important as investment diversification from a risk profile perspective. The answer is not to kill off existing trading relationships or reduce dairy production but to look to other sectors to play a bigger part. Furthermore if the purchaser gets too dominant they can exploit monopsony power. This entry was posted in Trade and tagged China, New Zealand, Primary Sector, Resource Curse on April 1, 2014 by Mark. 2011 saw commodity prices drop but the Aussie dollar has remained strong. As most economies employed a lose monetary policy and proceeded to drop interest rates aggressively after the GFC, the Aussie economy didn’t in fact go through a recession and its interest rates remained relatively strong – see below. Although a weaker exchange rate could help the Aussie economy especially as it has been susceptible to the resource curse – the strength of the exchange rate and higher interest rates is already putting pressure on some industries, particularly the tourism, manufacturing, education exports and retail industries. This entry was posted in Economic Cycle, Exchange Rates and tagged Australia, Commodities, Resource Curse on January 5, 2014 by Mark.